I just heard about this one. Anyone else ever heard of it? Hi Chris - when I looked at those two links I thought the seaplane looked familiar and then, when I read in the Wikipedia link that it ended up in France, it all clicked! It is stored at the excellent hydravion museum at Biscarrosse and I saw it again as recently as May this year when we were down there in our Catalina. 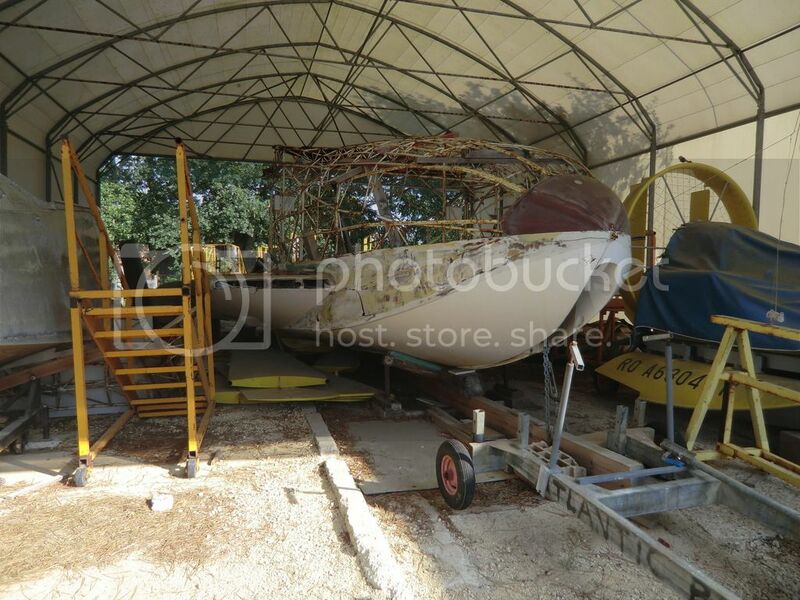 It is in the storage/restoration shed alongside the main aircraft display hangar. Chris - here it is when I saw it on a previous occasion in 2014 but I do not believe much, if anything, has changed since. Certainly looked the same in May this year from memory. The fuselage seems to be made from welded steel tube ...clad in thin fibrelass and glazed panels? The steel looks quite badly corroded, maybe unrestorable? Interesting and unique project? What is in the right of the photo partially under a cover? It looks like something with stepped floats that swing outward and backward, and perhaps equally interesting. Adventureguy wrote: What is in the right of the photo partially under a cover? It looks like something with stepped floats that swing outward and backward, and perhaps equally interesting. 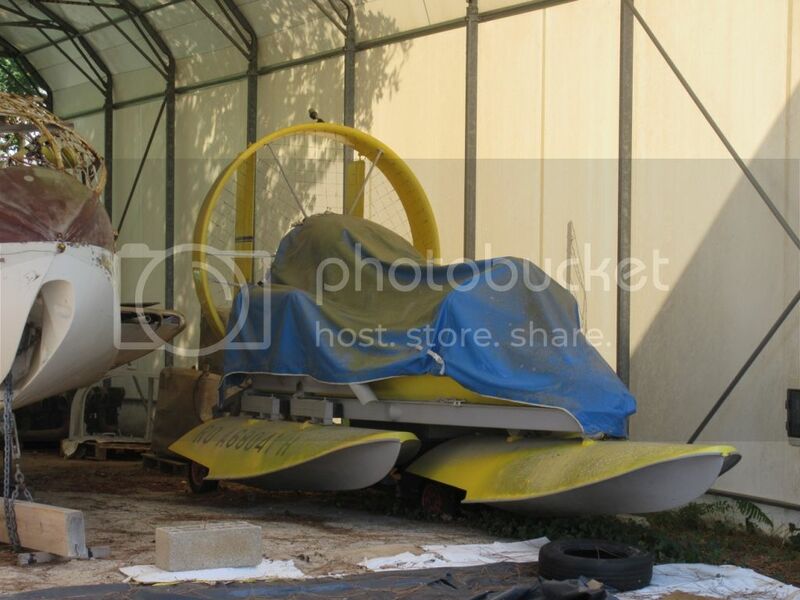 I don't think that is a stepped float but a stepped hull of a small seaplane, possibly a microlight. Next time I am down there I'll make enquiries. 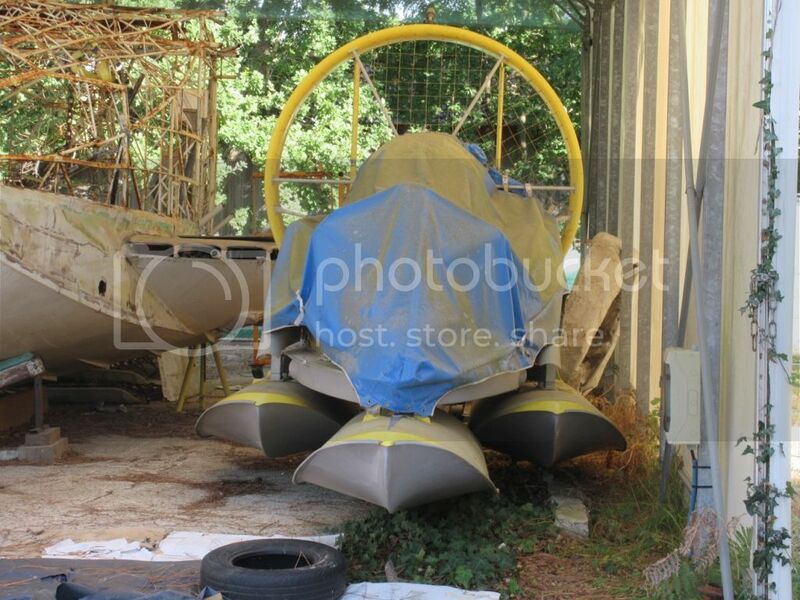 Might it be some sort of an airboat? 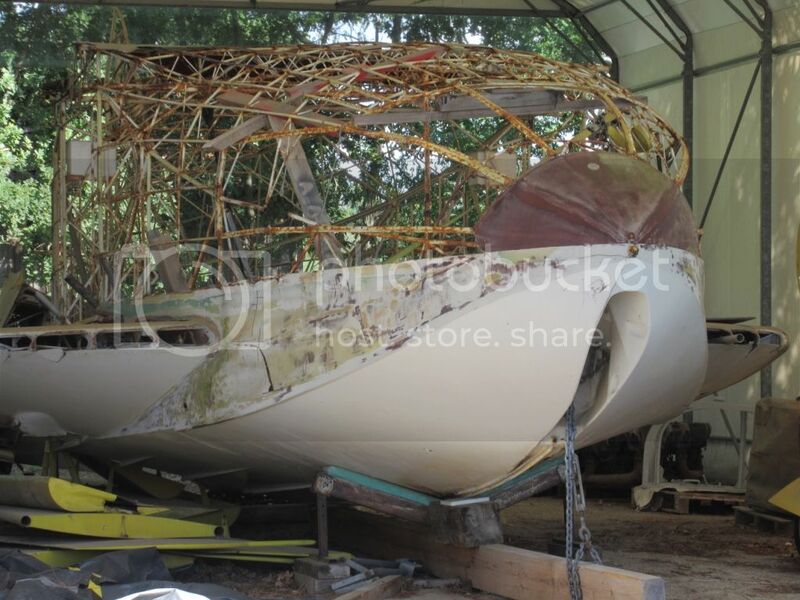 The yellow propeller cage with rudders makes me think so. An update of sorts. I was down in Biscarrosse again this September (with Catalina G-PBYA) and managed to find time to pay a quick repeat visit to the flying boat museum. I took a photo of a display model of the Wilson Global Explorer (excuse the reflections) and a couple more of the frame as it is now. I also enquired about the yellow machine with floats and fan that is stored alongside and which is mentioned in above postings. 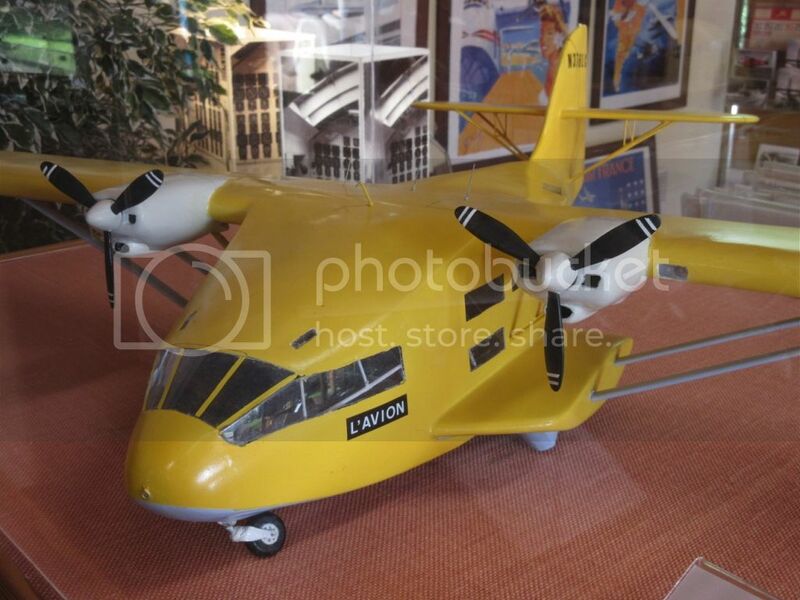 I can confirm that it is a 'surface skimmer', not a seaplane and was a prototype built by design engineer M. Legrand who was working for Latecoere. 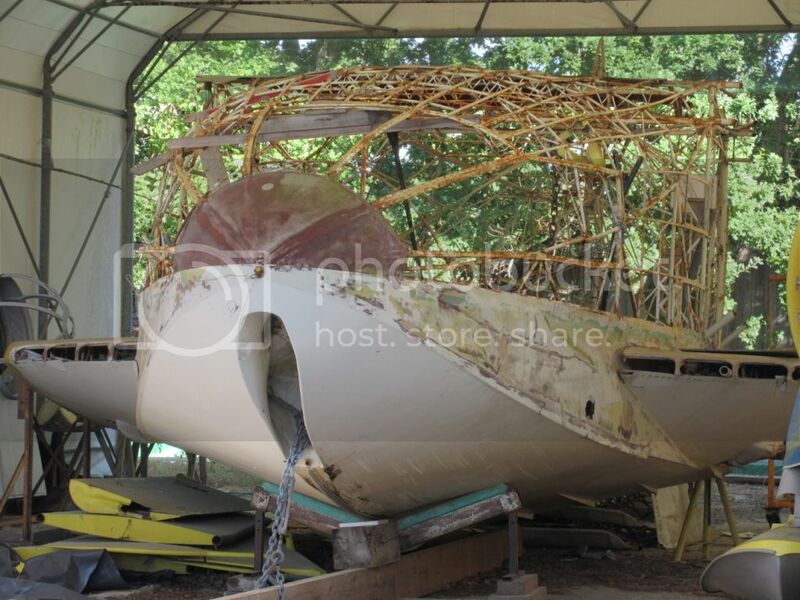 The owner gave it to the museum but didn't gave the authorization to operate it on the lake. There are big plans for a new museum on the old Latecoere factory site just to the south of the existing museum and it would be great if it comes to fruition but, regardless, it is a great museum and very well worth a visit.